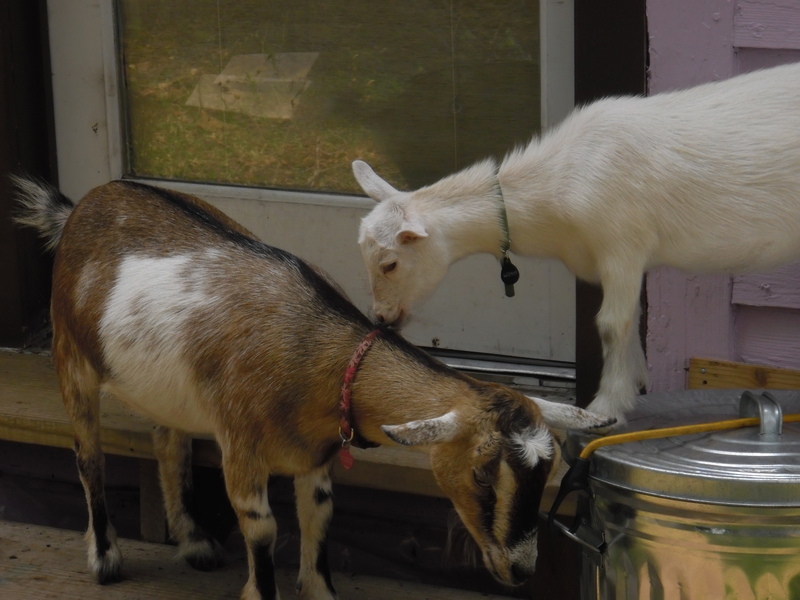 Following Southern Fried Scientist’s sustainable pets movement, two Nigerian Dwarf goats have recently joined my life. While they have garnered traffic-stopping attention in town upon their arrival, goats are not such a foreign idea to the old-timers in the neighborhood. Goats used to be fairly common in the urban homestead back when the line between city and rural was a little less clear. Goats in general are inherently social animals, both with each other (you can’t have just one) and with their human companions. Like a dog, they run to the gate to greet you when you arrive home each day and like it when you scratch behind their ears. They can be leash trained and taken for walks or to friends’ houses. Plus, you get the added benefit of lawn mowing and milk production. It’s the best of many worlds. 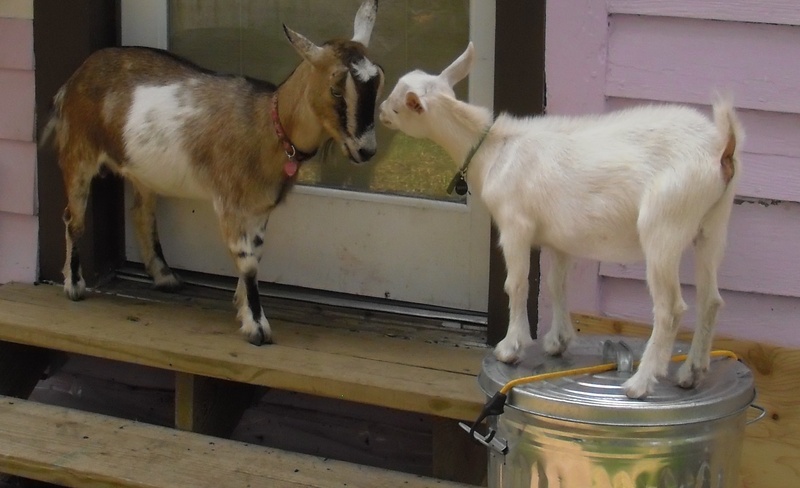 In most cities, full-sized goats are livestock and therefore reserved for farmland. However, the dwarf and pygmy varieties are “small animals” and therefore fall under the same category as cats and dogs. Of course, before getting a goat, it’s wise to check and be sure. If the housing rules are nebulous on the subject, there are a growing number of cities with explicit precedent written by small goat owners, such as Seattle who are willing to help other cities in the cause. The reason these small goats are qualified as small animals is that most of them are pet goats, having lost their milk production abilities through selective breeding for pet qualities. Nigerian dwarfs, though, if acquired from a breeder with a focus on dairy production, can provide both the family pet and the family milk. Dwarf milk tends to be higher in fat content than other goat milk and is therefore best to use for cheese and soap. Other fun creations include ice cream and a rich yogurt. Nigerians dwarfs are also part of a small league of heritage breeds that were once so rare, they were expected to disappear, but have begun to rebound as popularity increases in backyards. They are now listed by the American Livestock Breeds Conservancy as recovering, largely due to the efforts of backyard owners. 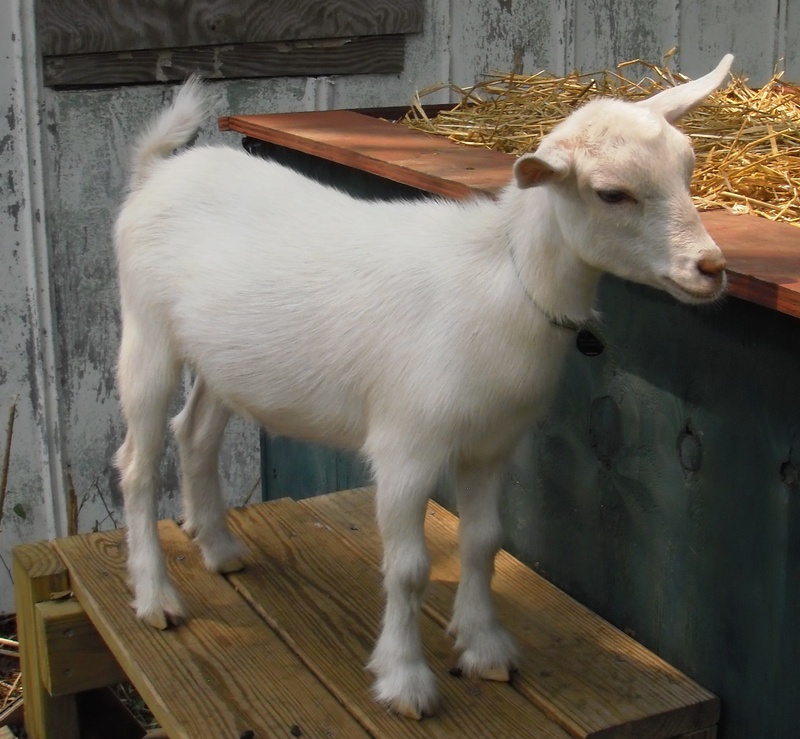 There are currently over 7000 registered by the Nigerian Dwarf Goat Association in the US. Being part of such a recovery effort is another, more subtle, reward of goat herding. Logistically speaking, goats are fairly low maintenance. 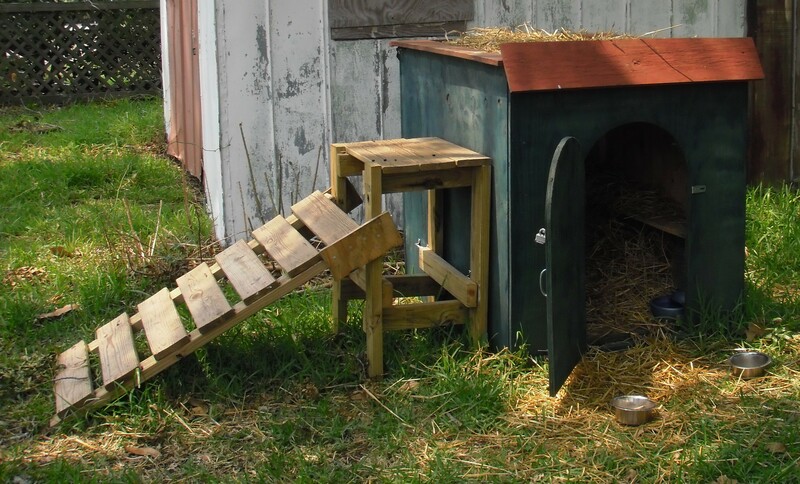 They require a yard with grass to graze and walk around in, a doghouse-type structure for sleeping in and hiding from the weather, goat food, and hay. My solution to the housing was to build a 4x3x4 structure out of plywood and 2×4’s complete with a lounging roof. Goats like to be up high and climb on anything available to them, so the roof has become their favorite spot in the yard. The complete structure took about $200 in supplies, which were purchased new from a local hardware store. Recycled materials could be used, such as pallets, are encouraged. Just be sure you know what the wood’s been exposed to because your goats will chew on just about anything, so you want their tasting to be safe. In terms of food, they need grain daily (it looks like dog kibble), but the most important part of their diet is the roughage. This can come from foraging. The coastal grasses where I live are well-loved by my goats, even the thorny catbrier vines that are ubiquitous to the area. Otherwise, they should always have free access to hay, preferably held off the ground in a hay feeder or something similar. Minerals should also be included in their diet, either included in their food or offered free-choice in a separate bowl. In total, feeding them costs about $20 a month. The final thing they need is a sturdy fence – they can jump about 3 feet, so make sure the fence is at least 4 feet high. Also, they stand and rub against it with surprising force, so make sure they can’t knock it over or scoot out underneath. It took about 6 escapes for me to realize the weaknesses in my fencing, and there haven’t been any recent escapes. Overall, the goats thus far have been incredibly rewarding. I patiently await my first glass of milk but until then I’m enjoying the little “baaah”s coming from the backyard when I get home.